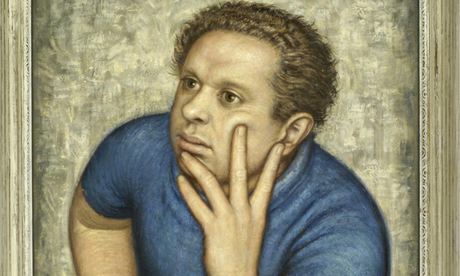 A portrait of Dylan Thomas by Alfred Janes, 1953. Title aside, Hilly Janes's engaging, accessible biography of Dylan Thomas is more a book of two lives, for it explores his short, chaotic existence and extraordinary talent through the eyes of her father, the artist Alfred Janes (called Fred throughout), a good friend of the poet. Divided into three sections, inspired by the three portraits Fred would make of Thomas over the course of his life, the book is strongest when exploring Thomas's youth, his early career and the close circle of writers and artists with whom he associated, the "happy shambles" of his early years in London. Janes is particularly illuminating when exploring the ways in which these young artists and writers would influence one another, and there's an intimacy to these early chapters that fades a little as the book goes on, and Thomas's star rises. A sense of distance sets in during some of the later chapters, as Thomas departs for his final, fatal tour of America. The book is at its best when grounding and humanising the man, stripping away some of the layers of myth, and placing him among friends, allowing us to see him as Janes's father saw him.